3 feet S-H273 Length 36 in. 3 feet S-H273 Packaging Dimensions 5.9 in. x 2.5 in. x 1.8 in. 3 feet S-H273 Weight 0.196 lbs. 6 feet S-H276 Length 72 in. 6 feet S-H276 Packaging Dimensions 5.4 in. x 3.1 in. x 1.6 in. 6 feet S-H276 Weight 0.347 lbs. 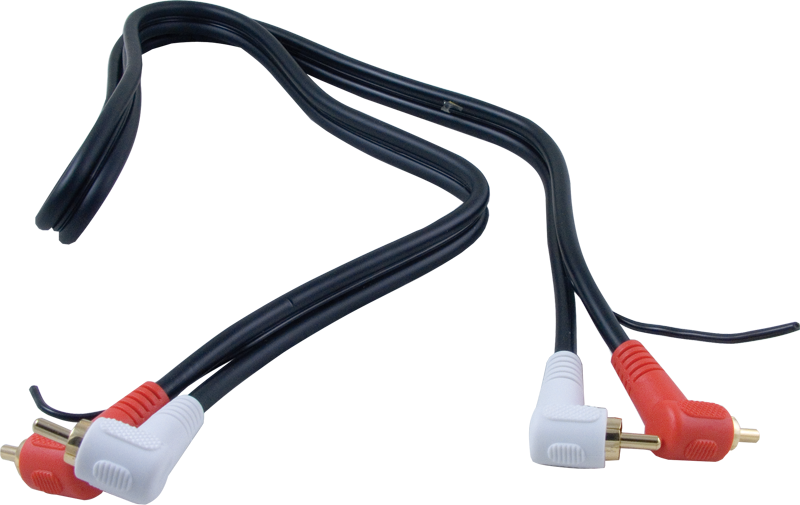 This RCA cable is a "MUST HAVE" when replacing your reverb tank. These are Extra Heavy Duty and not those light weight RCA cables found on cheap electronics. Unique to this set of cables is that there is actually a center wire for use if you desire to use it as a ground. Perfect cables for use with ALL reverb tank replacements. Used in a Fender Super Sonic Twin 100 watt combo. Replaced stock reverb tank cable. This cable reduced amp noise and hiss considerably when not playing. Cable shielding is better than stock cable. Very impressed, would buy again and recommend.